This exceptional superfood – Super Nutrition For The Modern Lifestyle! SKU: SU113. Categories: 14 day forgotten, 3 day forgotten, 5 day forgotten, 5:2 forgotten, 7 day forgotten, During Your Juice Programme, General forgotten, Supplements. Adults take one (1) heaped teaspoon (5g) per day. Can be blended with juices, smoothies or pure water. Grown without artificial pesticides and herbicides and carefully dried in controlled temperatures to preserve the enzymes, life force and other heat sensitive elements. This exceptional superfood contains over 100 nutrients and is widely used as a food supplement for cleansing and maintaining health, energy and weight loss. What Nutrients Are In Spirulina? The protein in Spirulina contains all 8 essential amino acids making it a ‘complete protein’ product. It contains an extremely high vegetable source of Vitamin B-12, and also includes vitamins A, B-1, B-2, B-6 and K.
How Does Spirulina Compare To Other Foods? – Protein [60-70% of its weight] – Iron [58x richer than spinach] – Calcium [10x richer than milk] – Vitamin B12 [often lacking in vegetarian diet] – Chlorophyll [2x richer than barley grass or wheatgrass] – Anti-oxidants [25x richer in beta-carotene than carrot. 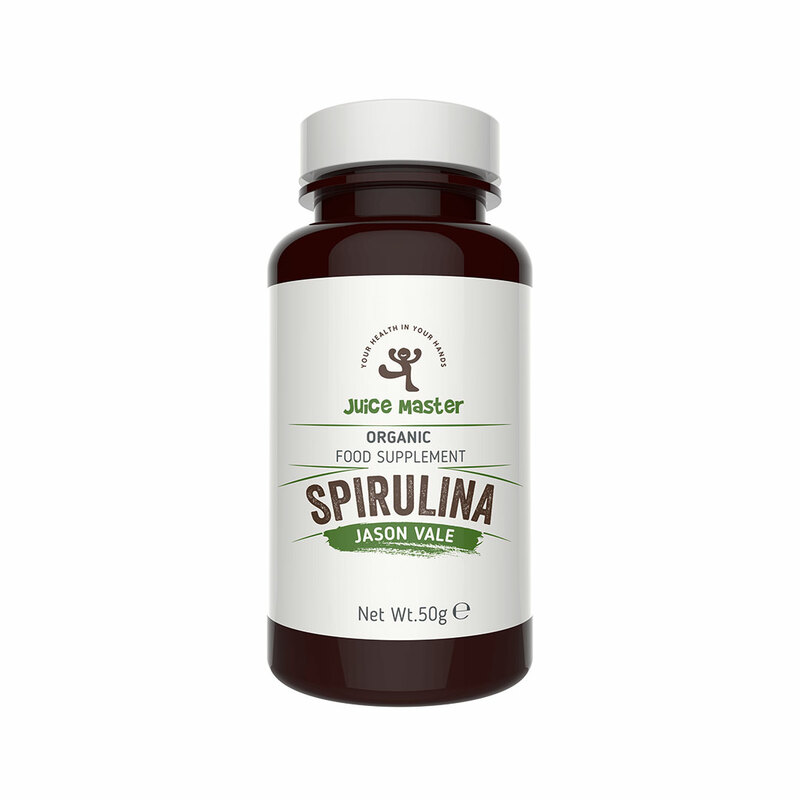 – As a complete wholefood Spirulina is easily absorbed, 16x better than synthetic supplements. Healthy Protein Powder Plus So Much More! Where Does Juice Master’s Spirulina Come From And How Is It Processed? Our Spirulina is grown without pesticides and herbicides in the U.S.A. and carefully dried in controlled temperatures to preserve the enzymes, life force and other heat sensitive elements. It is packaged in an amber glass bottle with oxygen absorber and metal lid for optimum preservation of nutrients and vitality. Suggested Use: Begin with 1/2 teaspoon per day and gradually increase to 1 heaped teaspoon (or more) according to your lifestyle. Can be mixed with juice or pure water, or alternatively it can be sprinkled or mixed with food.